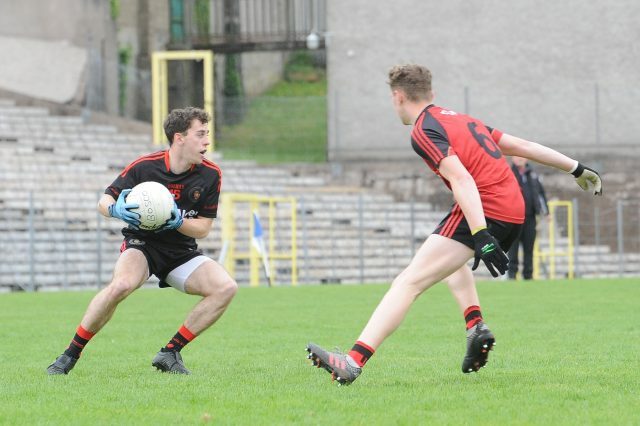 Despite being level after twenty minutes, the Red Hands pulled ahead before the half-time whistle with scores from Michael Conroy, Thomas Hoy and Cormac Donnelly giving Tyrone a 0-8 to 0-4 lead at the break. 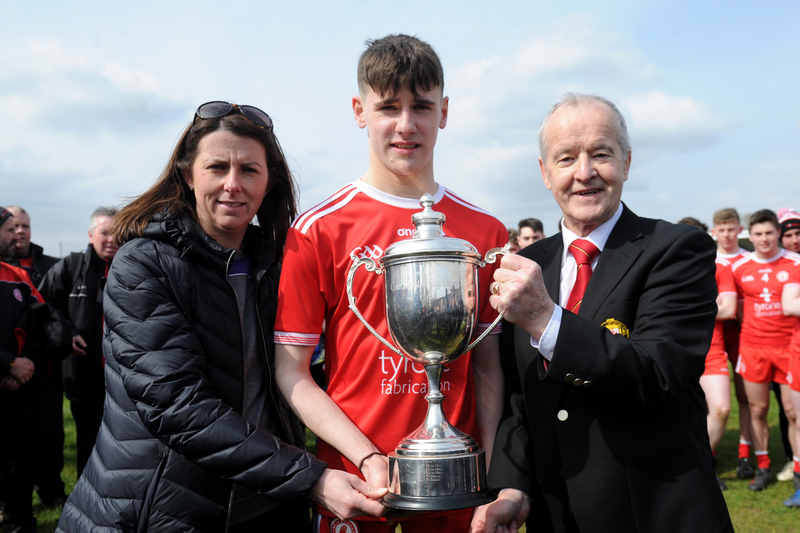 Colin Holme’s side increased their four point advantage to nine in the third quarter of the game and although Down put five points over in the closing stages it was still not enough to catch Tyrone. 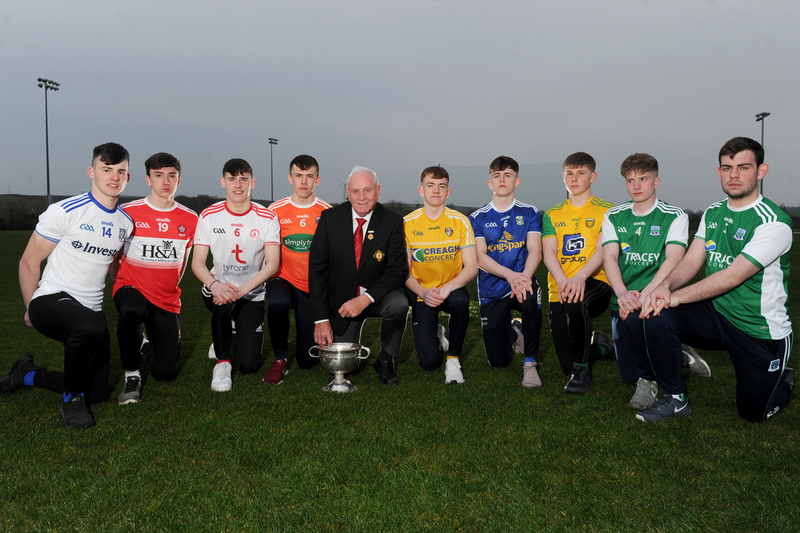 Tyrone: L Quinn, C Ward, M McCusker, A Fox, T Quinn, C Munroe, R Slane, M Murnaghan (0-1), B Gormley, J Oguz, D Millar (0-1), D Canavan (0-5); M Conroy (0-1, 0-1 free), C Donnelly (0-2), T Hoy (0-2). Subs: E Jordan (0-3, 0-3 frees) for Gormley, L Gray for Conroy, R McCabe for Hoy, C Slevin for Slane, K Barker for Oguz, E Devlin for McCabe. Down: J Hazard, D Fegan, T Gordon, C Fitzsimons, J Lynch, R McEvoy, C Cunningham, R O’Higgins (0-1), R McCormick (0-1), R Campbell, T Prenter, C McNulty, S Johnston (0-2, 0-1 free), P Brookes, M Carville (0-5, 0-5 frees). 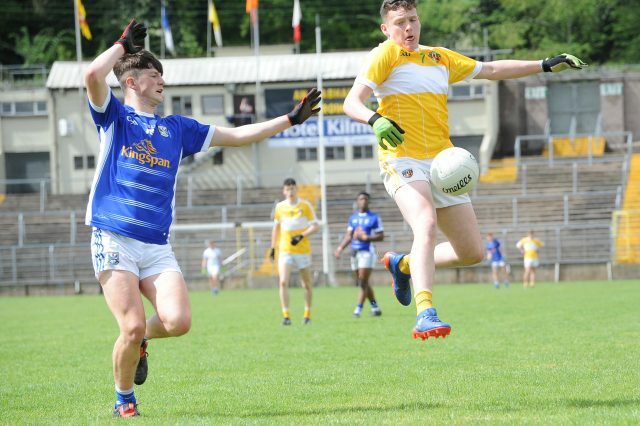 A flurry of goals from the Breffni U17’s in the first half of the second Ulster U17 Football Championship semi-final of the day sealed Cavan’s victory. Registering the first goal in the eight minute of the game, Cavan found the back of the net another two times in the following five minutes to make it 3-04 to 0-01 by the end of the first quarter. Antrim’s Marc McAfee succeeded in scoring a goal for the Saffron side followed by a couple of Ruairi Brolly points from frees but at half-time Cavan were still very much in the driving seat with 5-05 to 1-05. Playing for pride in the second half, Antrim managed to add to their tally of points and Peter Henvey got a second goal for his team with 44 minutes played but at full-time it was Cavan safely through to the Final with 5-11 to 2-11. 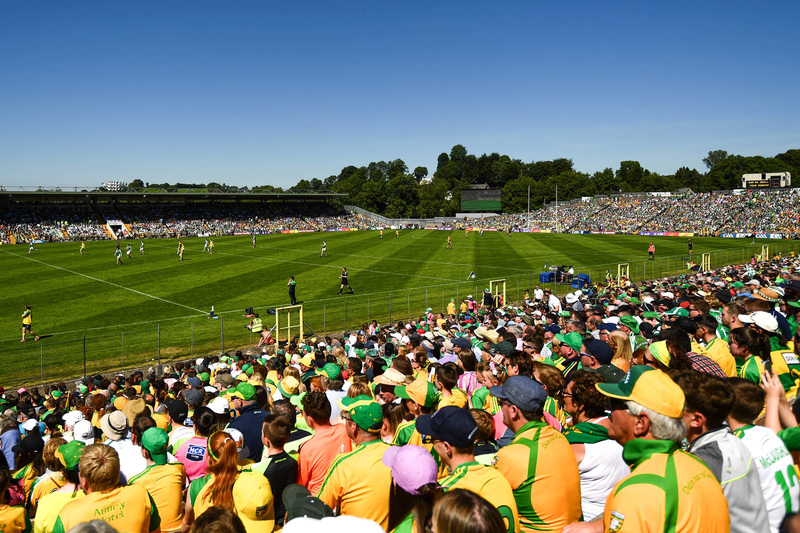 Cavan: S Lovett, K Brady, F O’Reilly, K Smyth, DJ Cassidy, P McNulty, G Brady, K Fadoju, D Molloy (1-2), C McGovern (0-2), S Hanley (1-1), C Lynch (1-0), S Keogan (1-2), P Lynch (0-2, 2f), S Martin (1-1, 1-0 pen). 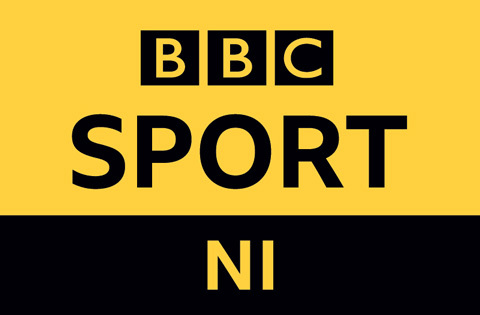 Antrim: L Mulholland (0-1, 0-1 45), E McCusker, C Scullion, C Murray, B McCarthy, M Keegan, E Kelly, J Lamont, C Barr, M McAfee (1-0), E Daly, A McNeilly (0-1, 0-1 free), R Brolly (0-8, 0-6 frees), P Henvey (1-0), D McEnhill (0-1). The Ulster U17 Football Championship Final will be played on Sunday June 11 before the Ulster Senior Football Championship Quarter Final between Cavan and Monaghan/Fermanagh.